Meet Smolsies - the cutest squishy pom-pom creatures! 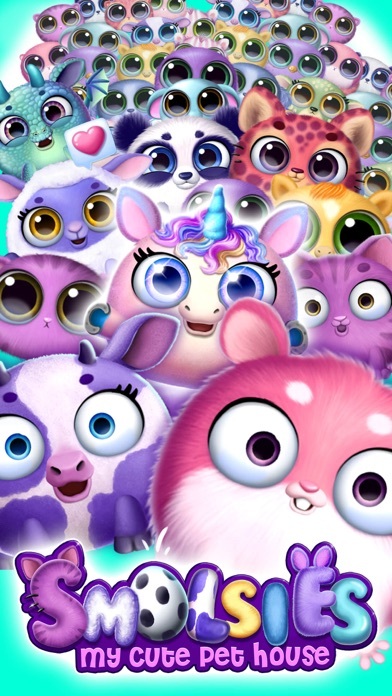 Kids and toddlers, boys and girls will love their new virtual pets! 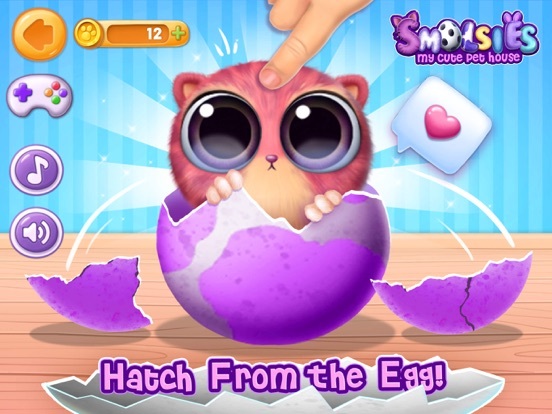 Hatch surprise eggs and collect all 15 pet Smolsies! Watch baby Smolsies grow! Play, feed and clean up! 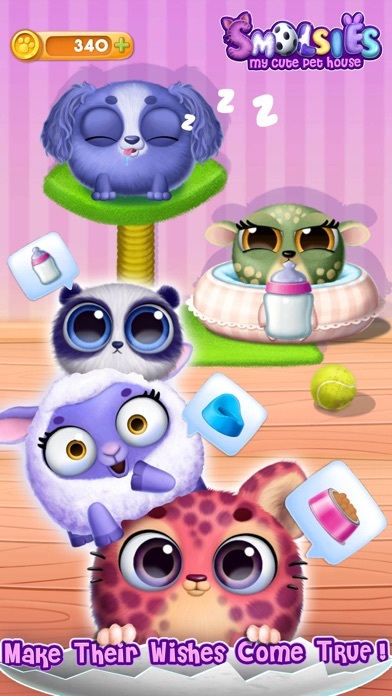 Unlock cute mini-games and play with your virtual pets! 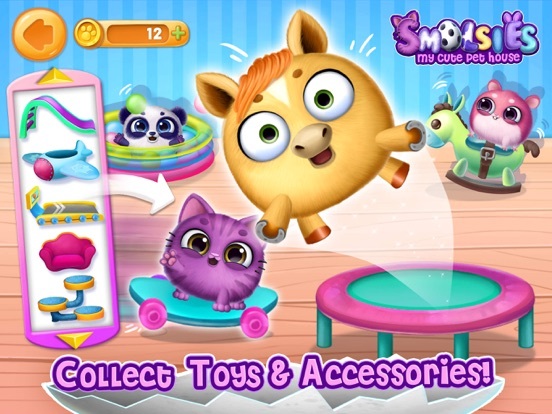 Merge Smolsies and create new super cute squishy and fluffy animals! Welcome to your new virtual pet house for kids! 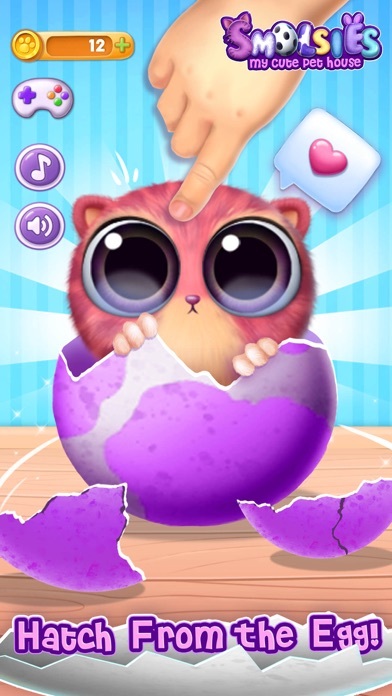 Hatch your first squishy baby pet from a colorful surprise egg and take care of it! Baby animals need lots of food, sleep and love! Watch your tiny pet grow! Get new surprise eggs and hatch more squishy Smolsies! Put two pet Smolsies into a magical pet merging machine and get a new surprise egg! Watch your Smolsies talk and play with each other! 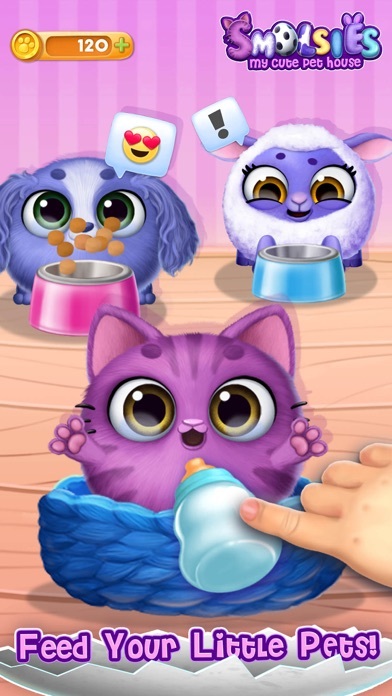 Feed your cute virtual pets and clean up after them. 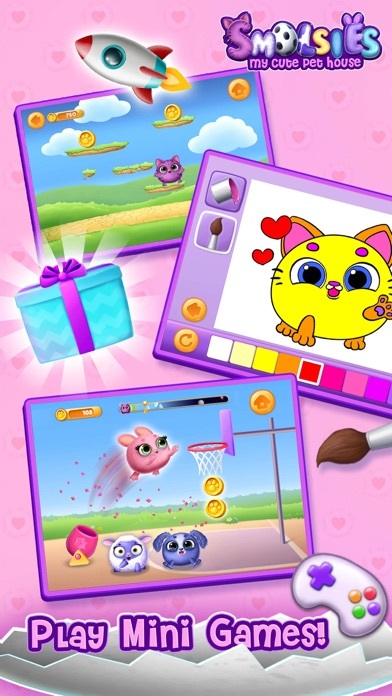 Play fun mini-games: jumping, basketball, coloring and postcard designing! Collect coins and win surprise gifts with toys and accessories for your virtual pet house! Slides, trampoline, ball pit and more fun toys for kids and baby pets! 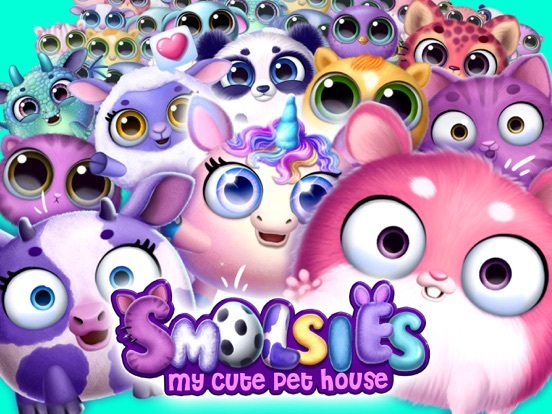 Collect all 15 Smolsies: dog, cat, hamster, deer, elephant, cow, horse, dragon, panda, cheetah, platypus, zebra, sheep, bunny and even unicorn! 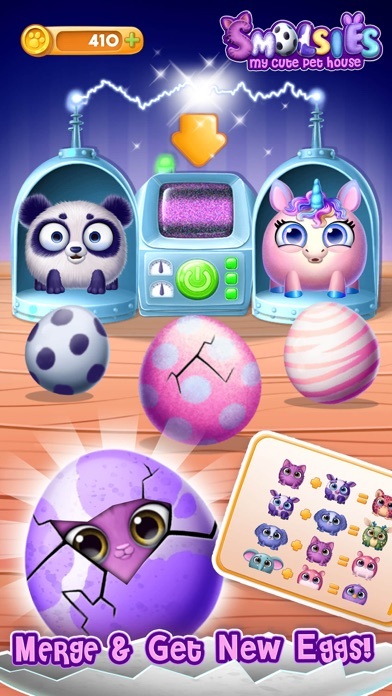 · Hatch baby squishy pets from surprise eggs! · Merge Smolsies and get new eggs! · Collect all 15 cute and squishy Smolsies! 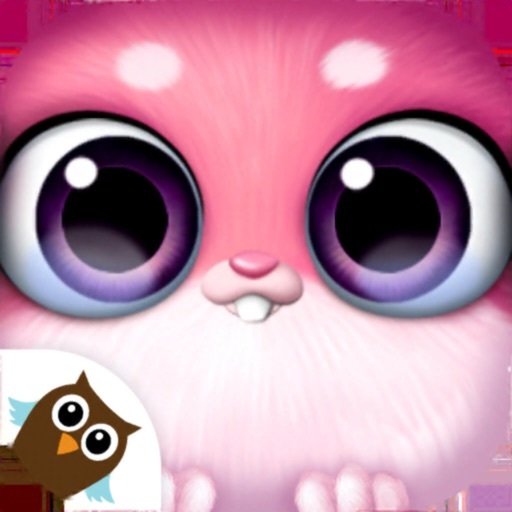 · Take care of your virtual pets, feed them and clean up! 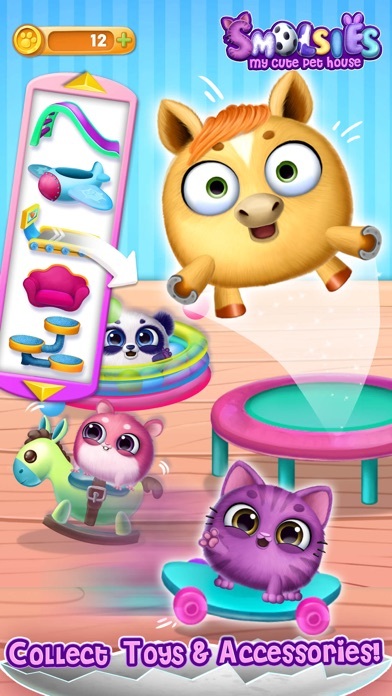 · Play cute and fun mini-games! 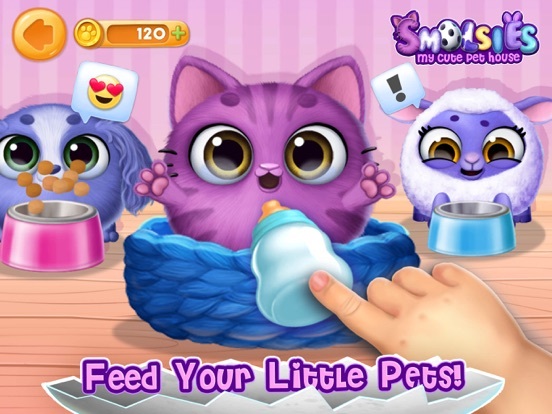 · Collect coins to get new surprise eggs and toys for your pet Smolsies!